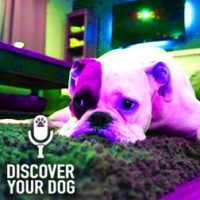 Ep 087 Is Your Family Sabotaging Your Dog Training? When the whole family isn’t on-board with training the family dog, things get complicated. Today, discover how to work around your family’s lack of interest. 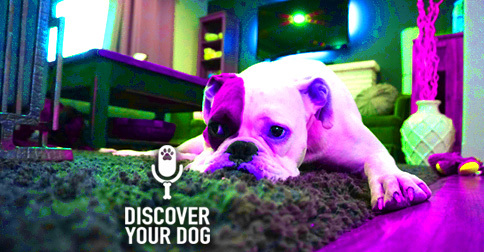 In this episode, you will learn a ninja secret to get your family willingly involved in training your dog. This episode came about because of some issues and questions that have come up through comments to the website and survey responses. One person needs to be the main trainer and communicator with your pack. Does it matter that others are on board? It absolutely does! It can be something as simple as a point of contention with the family that can cause behavior issues with your dog. Anxiety, stress, or skittish behaviors can all be a result of inconsistency and direct neglect of your dog as a part of the family. Kids ages 4-8: not expected to do the homework but they understand how to behave around your dog. Kids ages 8-13: at this age your children are old enough to understand and complete homework. If your child is not willing or wants to do it their own way – that is okay. You must stay consistent so your dog can learn and not force anyone to train that doesn’t want to. Kids ages 13-18: at this point in their lives teenagers are mainly into themselves. They may want a dog but it may not be best to force the subject. Spouses that want a good dog but don’t care about dog training and just want results: This isn’t a great situation and it isn’t the worse either. Typically, this spouse thinks they aren’t going to interact with the dog that much anyways. Bennie most commonly encounters the disinterested becoming interested when they see how well the dog is doing and the relationship between the dog and the main trainer. Spouses or children that are not interested in training the dog, don’t want anything to do with the dog, or even care if it is trained can become annoying. Bennie believes in this situation it is more of a power struggle for attention. Small children will generally interrupt training or something major almost always happens when you are interacting with the dog. Spouses can do it unintentionally without even realizing it. Spouses or children that have nothing to do with the dog or the training (and think they know better or more than the trainer) will deliberately do things to sabotage the training or the dog’s behavior. Bennie has only encountered this a few times and it is very frustrating. If you have this particular struggle going on in your home, he suggests that you find the dog a new and loving home and you never get a dog again. Your second option is to get rid of the other problem! First and foremost, don’t freak out! Your dog will respect whomever is the most consistent in the long run. Do not force the issue. If you are doing a training session and you can get your family member to attend – they absorb a lot more than you think. The Back-Fire Effect: the more you try to make your family member interact when they are not interested, the worse it will get. Your best option is to do the training sessions when the family members are around. They will pick up on little things you are doing and mimic those – especially if they see it working with your dog. This is a great opportunity to have this family member describe or show you the “proper” way to do it.